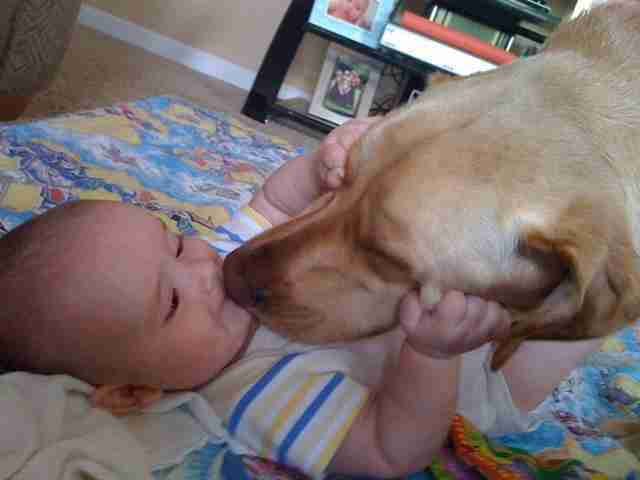 For dogs and their human babies, it's often love at first sight. 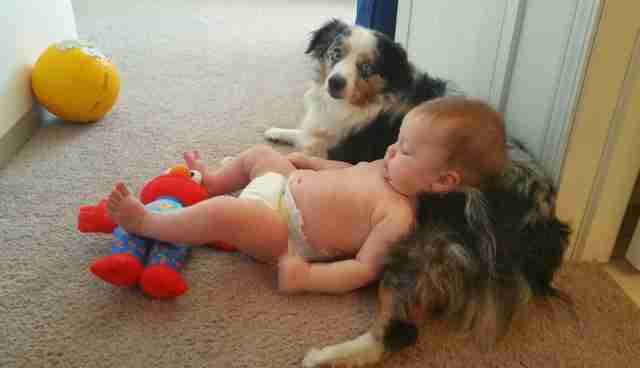 And these best friendships will continue to grow for years to come - here are 23 dogs who love their little humans. 1. "If my son so much as cries, he rushes in to save his life. 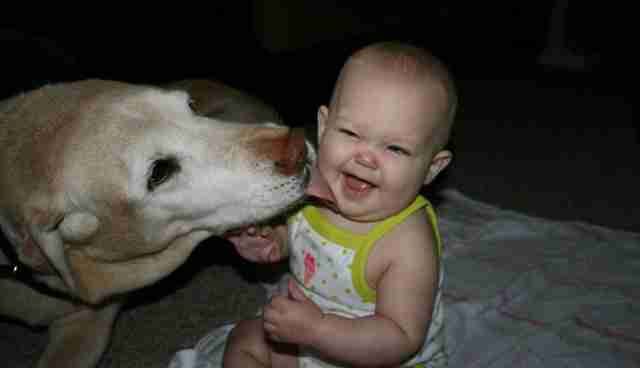 Best buds." 2. 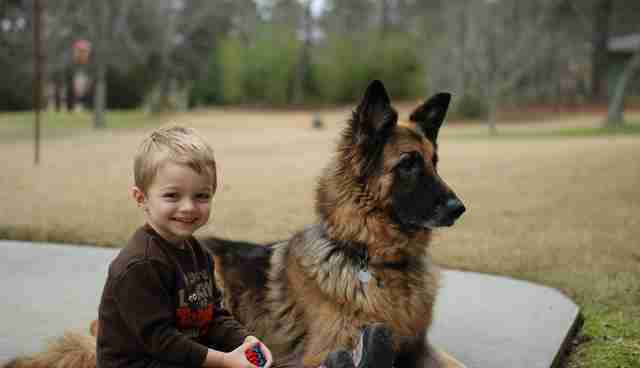 "My son and dog's 2 1/2 year friendship." 3. 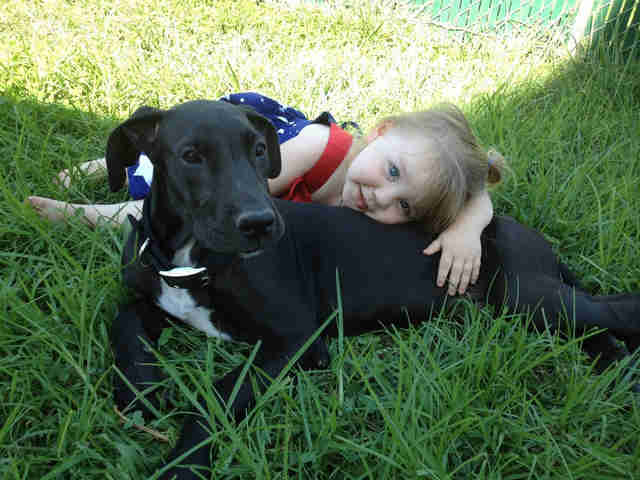 "My niece and her great Dane puppy." 4. 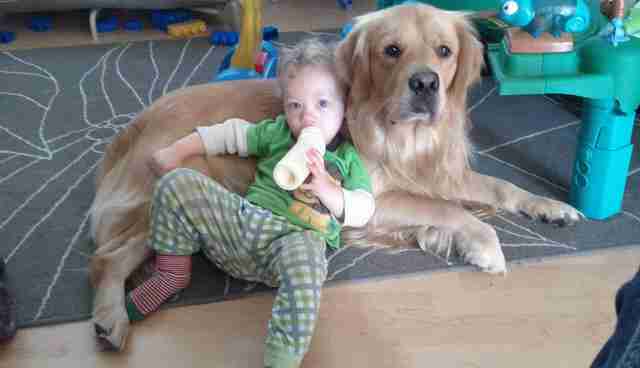 "My son and dog are inseparable." 5. 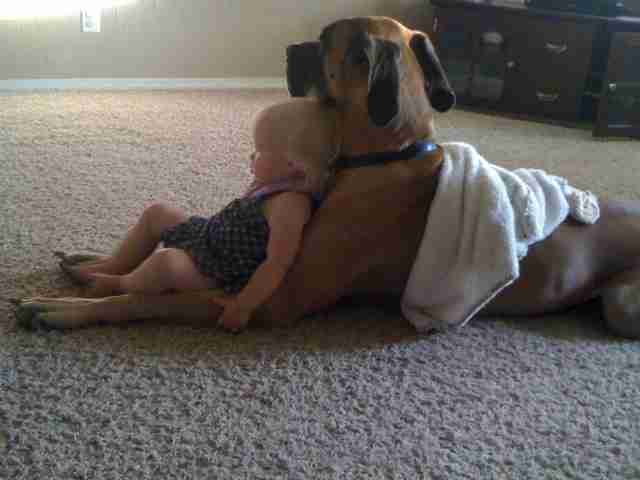 "My daughter and her guardian." 6. 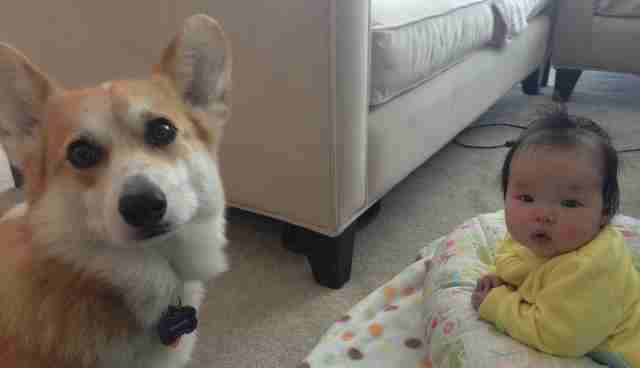 "When I join them they stare at me like I interrupted their conversation. Apparently I've become a third wheel in my own home." 7. 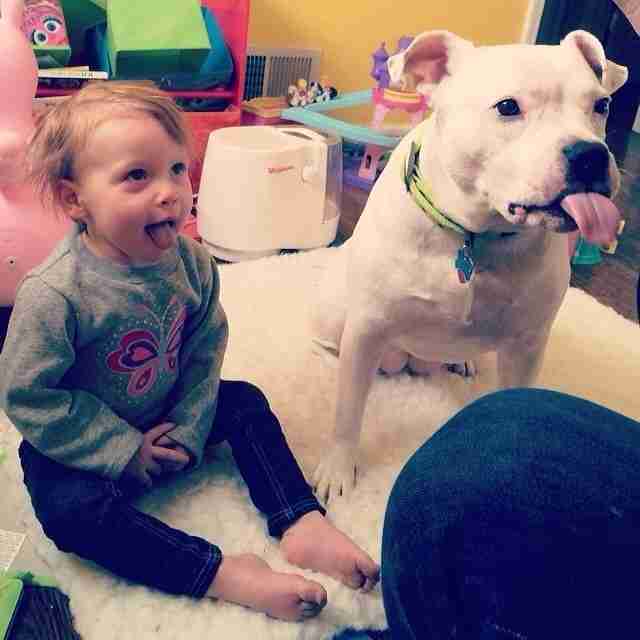 "My wife caught my daughter and my pitty both begging for food....tongues out." 8. 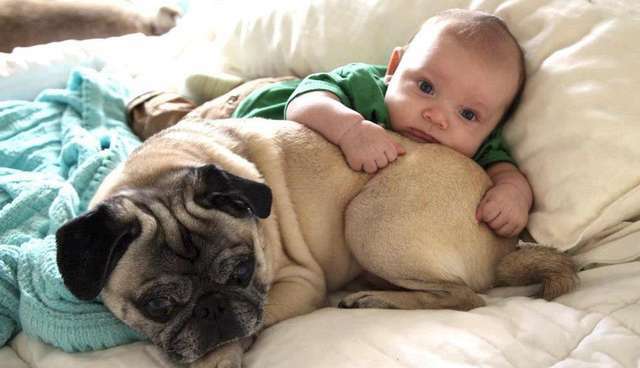 "My newborn son lying on top of my grumpy pug, Piglet." 9. 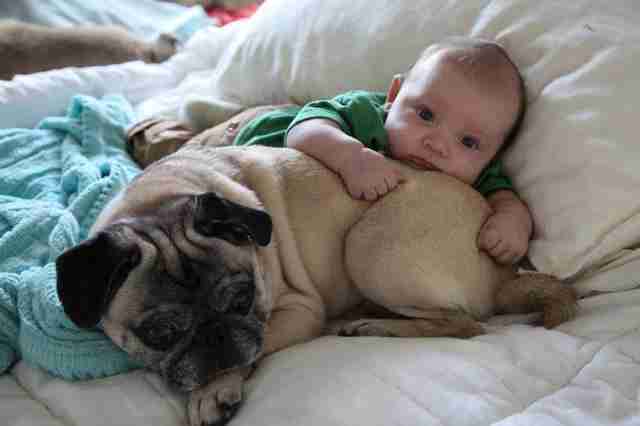 "My son and his bff." 10. 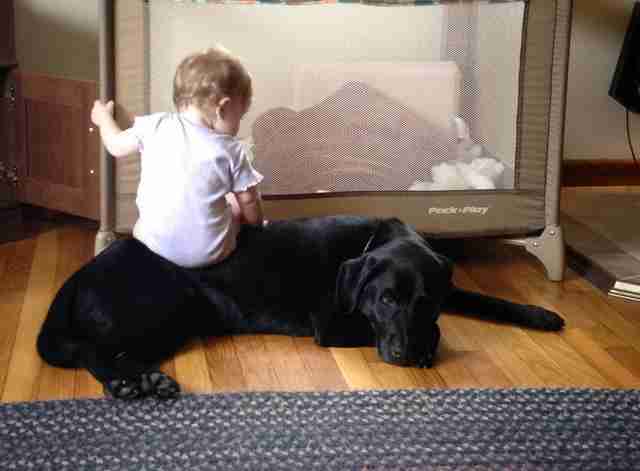 "My daughter utilizes our lab as a chair. He doesn't mind." 11. 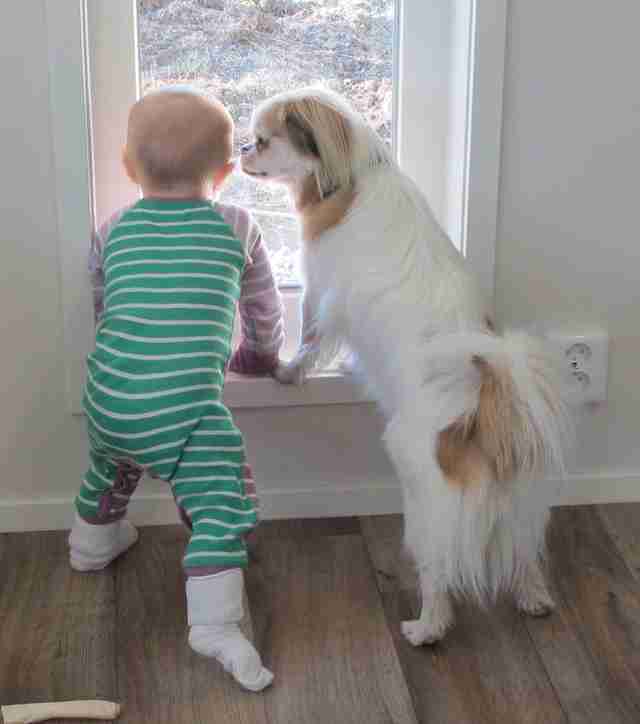 "Our daughter finally learned to stand up; Our dog has to share his window!" 12. 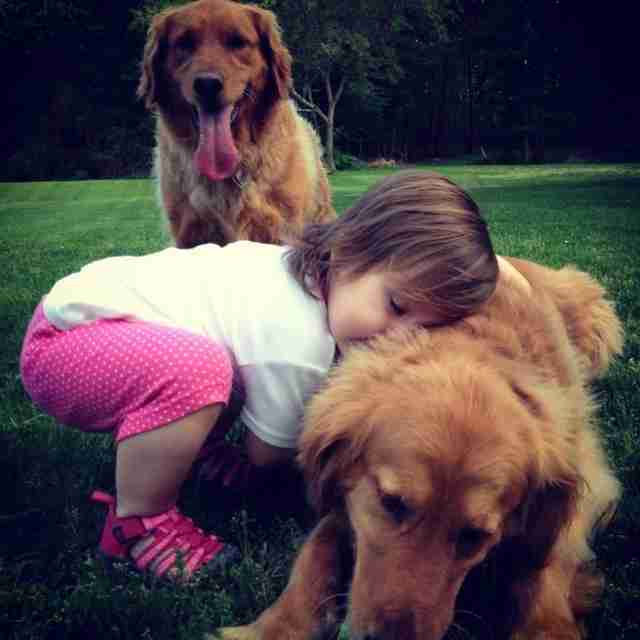 "My daughter and her best friends." 13. 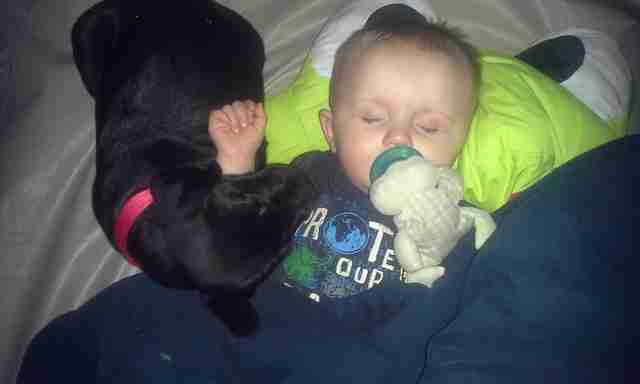 "A few nights after adopting our first puppy. He and my son have grown close quickly." 14. 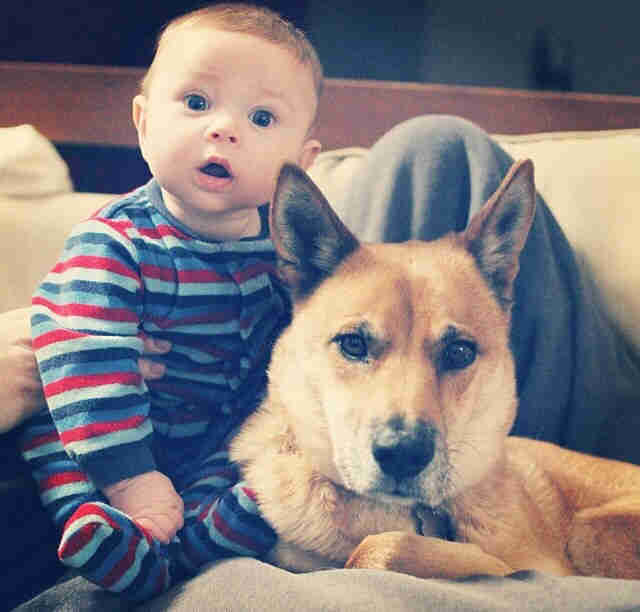 "A boy and his dog from the beginning: My 2 weeks old baby son and my three legged dog." 15. 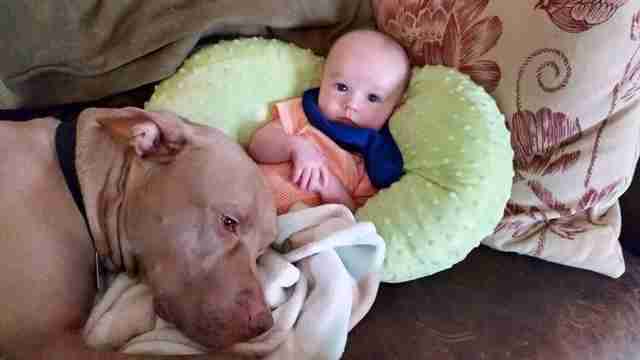 "Both of my sons just relaxing." 16. "My daughter and her bodyguard." 17. 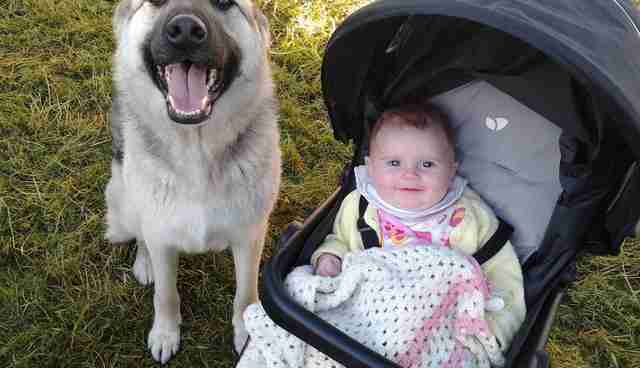 "My dog and my daughter are the best of friends." 18. 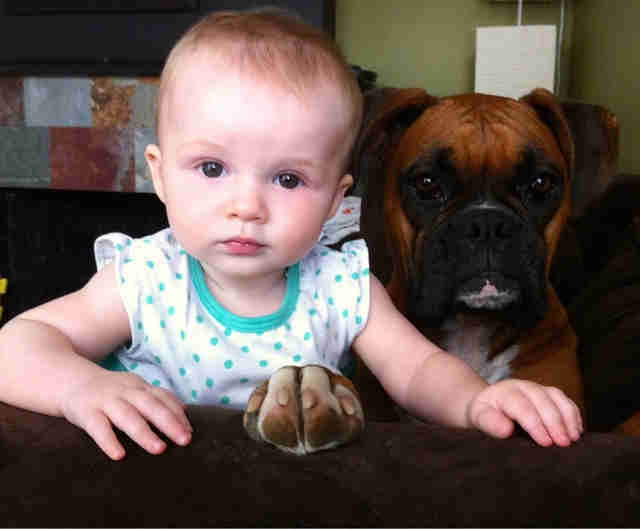 "My dog wanted in on my daughter's 3 month pictures." 19. 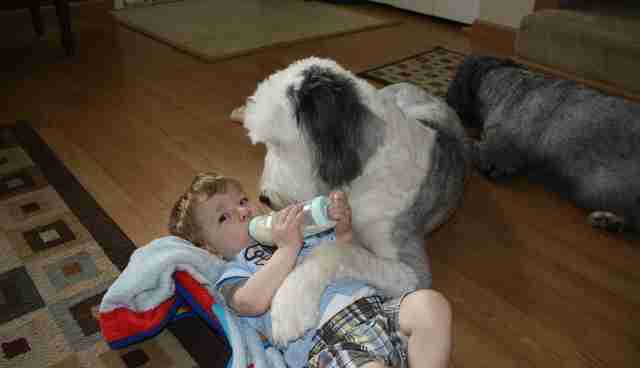 "The best babysitter ever." 20. 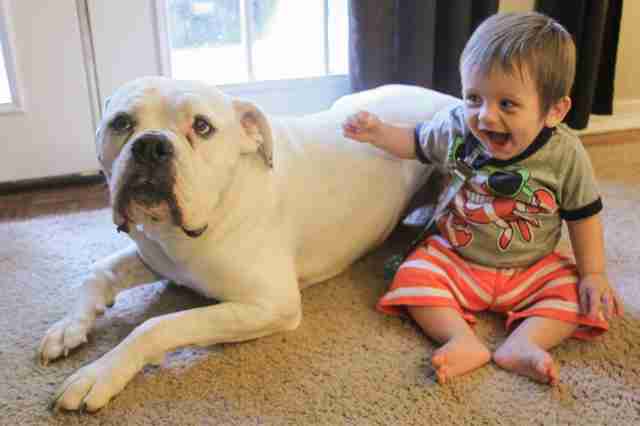 "My son was excited to meet Beast the boxer." 21. 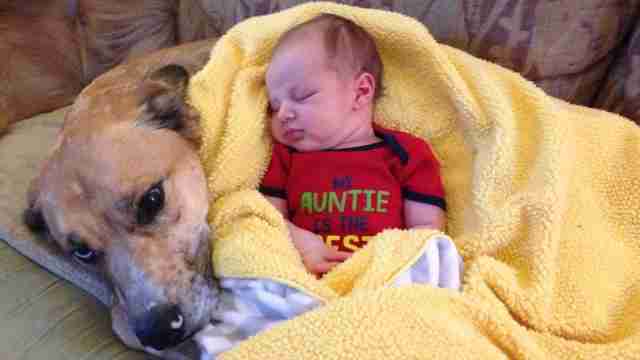 "My son and my American dingo Biscuit." 22. 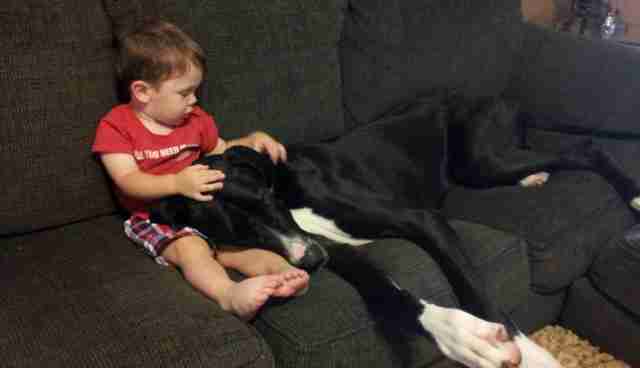 "My nephew's favorite chair." 23. 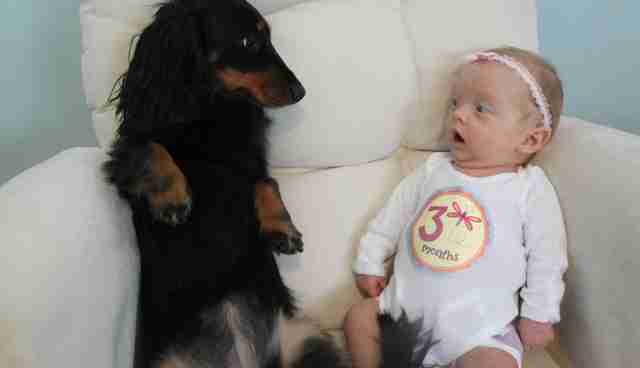 "I think we found our babysitter."